Do you dare to enter? On a quiet residential street in this small town of Atchison sits an old white frame house. On a dark evening, the absence of lights and sounds are the first indication to visitors that this house is different from the other homes that surround it. Guided tour or overnight stay. Hands-on investigation of Atchison’s most famous haunted location. Originally built at the turn of the century, this house became the residence of an Atchison physician. The front served as office space and examination rooms, while the doctor and his family lived upstairs. One day, a frantic mother arrived carrying her 6-year-old daughter, Sallie. The child had collapsed from severe abdominal pain. The doctor diagnosed appendicitis and knew there was no time to delay surgery. Believing the appendix would soon burst, the doctor began cutting Sallie before the anesthesia took full effect. Sallie’s screams suddenly stopped and she grew pale and limp. She died on the operating table – her last memories of a man whom she believed was torturing her. 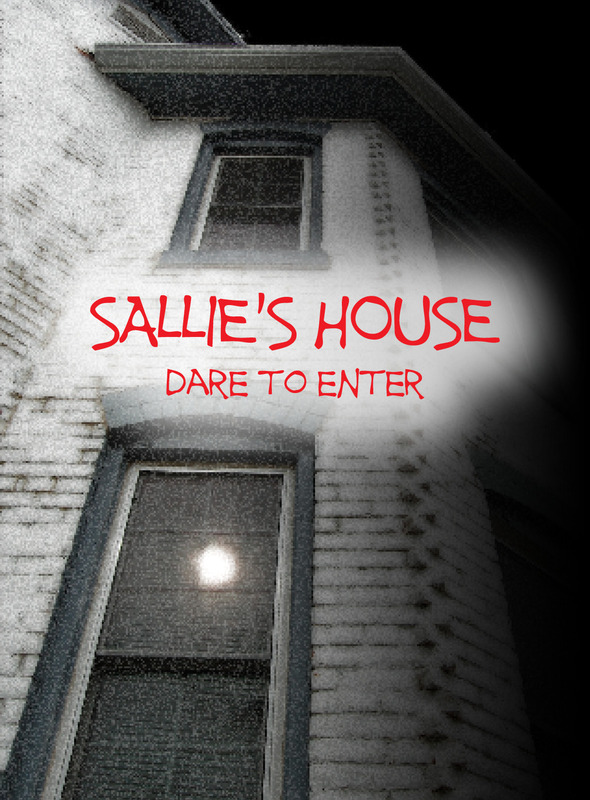 Reports of Sallie’s haunting grew even more ominous in 1993, when the house was rented to a young couple. Their dog seemed to growl at nothing, especially near the upstairs nursery. Things began to take a violent turn, however. Fires broke out in the house and a series of sinister attacks on the husband began. The operating area would become cold. Objects would visibly move when the young man drew near. He could feel scratches upon his chest or abdomen. But never did the ghost attack the wife or baby. Events that have been witnessed by today’s visitors to the Sallie House include video and investigative equipment that stop working, and batteries that are full immediately and completely draining. Visitors also experience moving objects, have noticed unexplained scratches or bruising on their bodies during/after visits, physical touches, and mysterious coldness. Trained guide dogs allowed to enter the house have barked outside or will not enter the nursery. Psychics have confirmed the presence of spirits dwelling in the home and many have actually communicated with them – and skeptics have left as believers. Visits by paranormal investigators have provided audio, video and photographic proof of paranormal activity. The house has also received coverage on several television networks, including A&E, The Travel Channel, The Discovery Channel, and the Syfy Channel, as well as various national publications and radio outlets.